Come Mrs Thatcher’s deregulation of the financial markets in the 1980s the spinsters were dying off and in moved the bankers and corporate lawyers. However despite the influx of dirty money it wasn’t until 1999 that Kew got a really good restaurant when Nigel Platts-Martin and chef Bruce Poole, who had created the iconic Chez Bruce in Wandsworth and subsequently La Trompette in Chiswick, opened The Glasshouse. The interior is a symphony in beige, calm on the eye, and staffed by charming if slightly over eager Iberians. The room is very comfortable with the chairs being as well stuffed as the clientele. 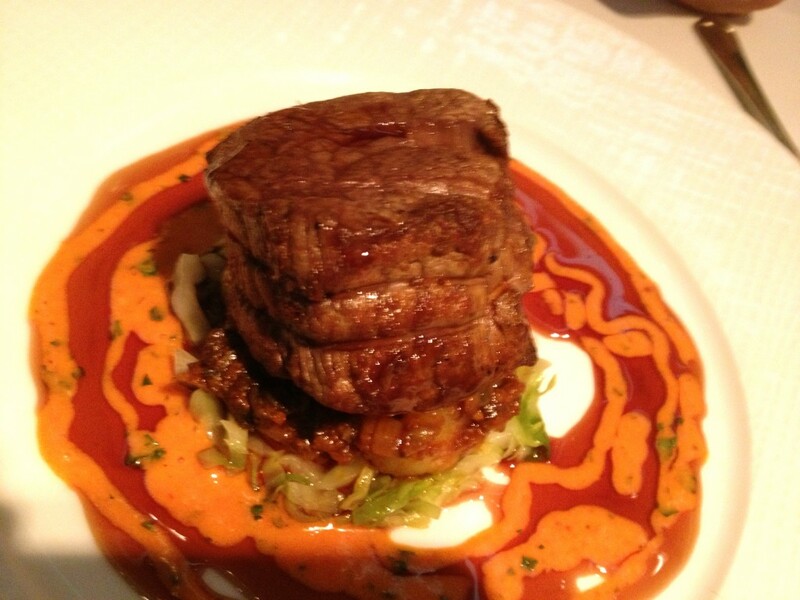 The menu is £42.50 for three courses with a generous seven options at each stage. It reads very attractively-modern European bourgeois comfort food with a few eastern touches for good measure. Sea Trout Gravlax with Parsnip Remoulade, Micro Cress Salad, Cream Cheese Cigar and Apple Caviar. 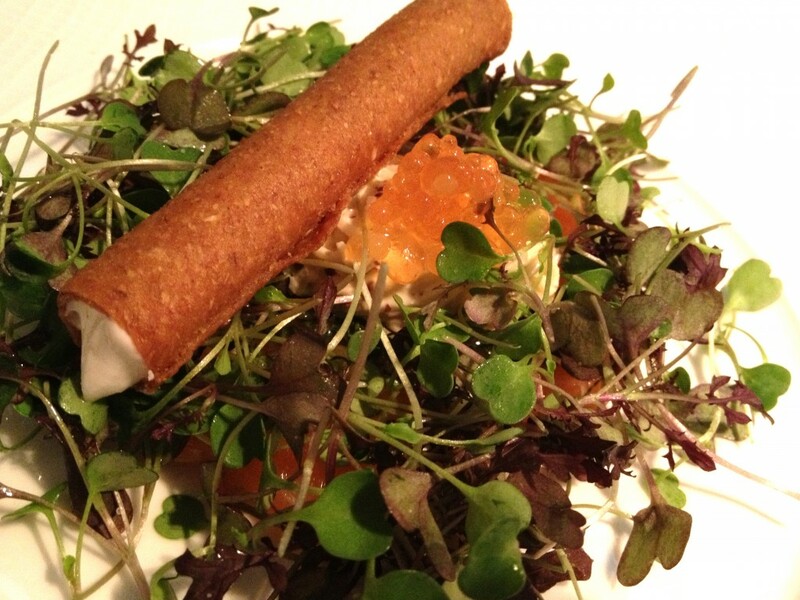 Sea trout Gravlax with Parsnip Remoulade, Micro Cress Salad, Cream Cheese Cigar and Apple Caviar. The business man went for this- he said ‘it tasted as it should’. I don’t know what he meant either but I guess that he liked it as he demolished it before I could ask for a taste. It certainly looked good. 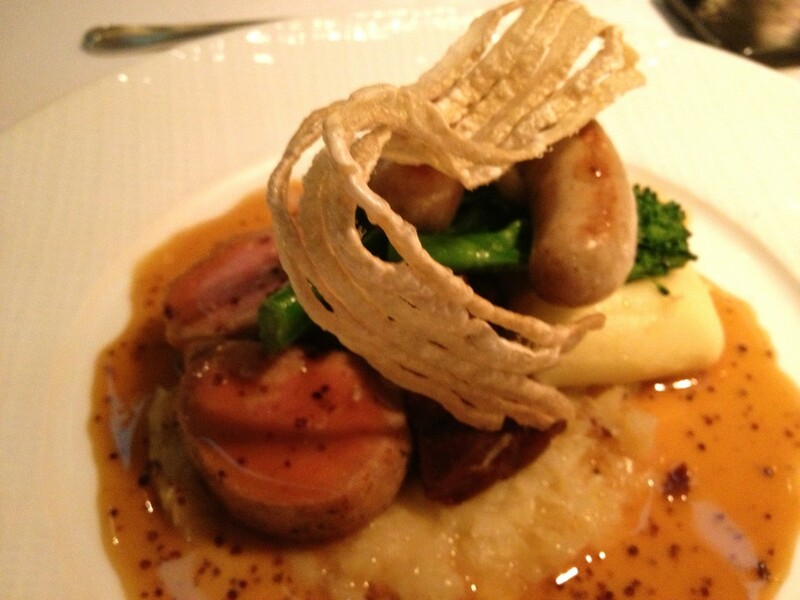 Pork Fillet with Braised Cheeks, Boudin Blanc, Fennel Choucroute, Creamed Potato and Mustard Jus was a high-concept Alsatian influenced dish described as being succulent, smooth and tender by the Music Biz guy. 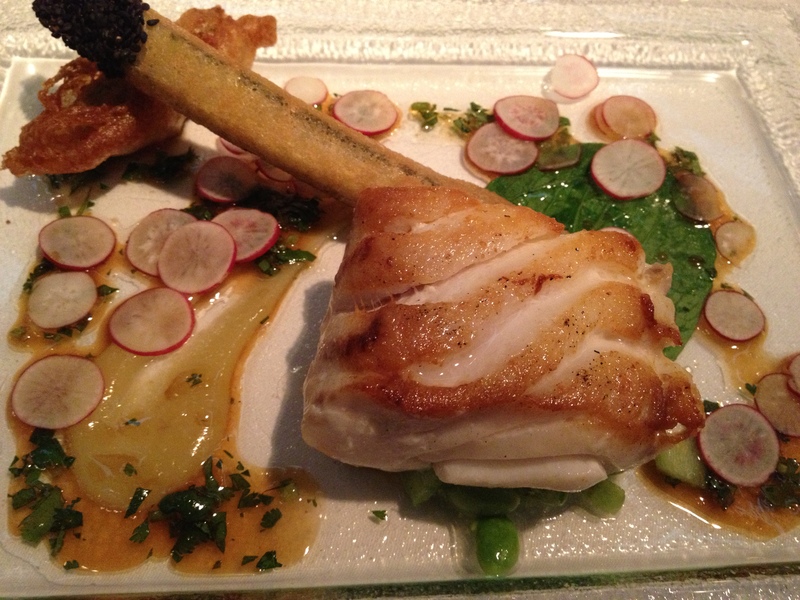 I’m giving The Glasshouse first prize in the longest dish description section of the Gastrolympics. 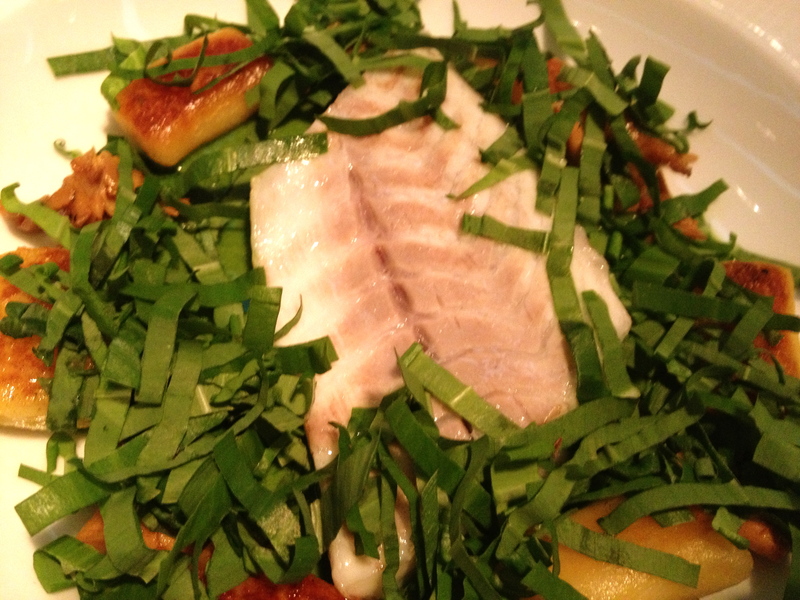 If this was St. John it would just have been Pork Fillet…however I must admit to feeling strangely aroused by the Fennel Choucroute. 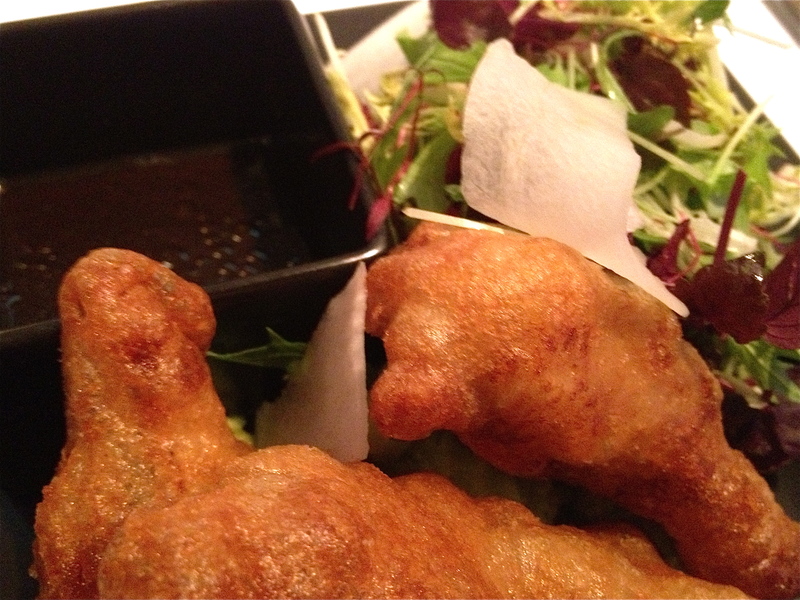 Loin of Cornish Cod with White Miso, Soy and Coriander dressing, Bok Choy and Oyster Beignet. 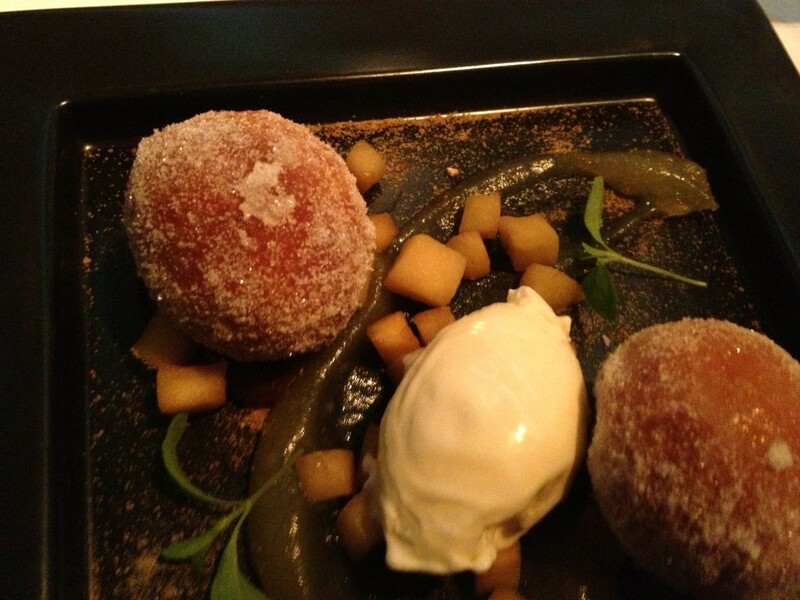 Calvados and Caramel Doughnuts with Green Apple Puree and Creme Fraiche Ice Cream was an exercise in over-indulgence if ever I saw one but then I chose it-but for me the doughnuts were too sugary, the apple not tart enough and there wasn’t enough caramel. 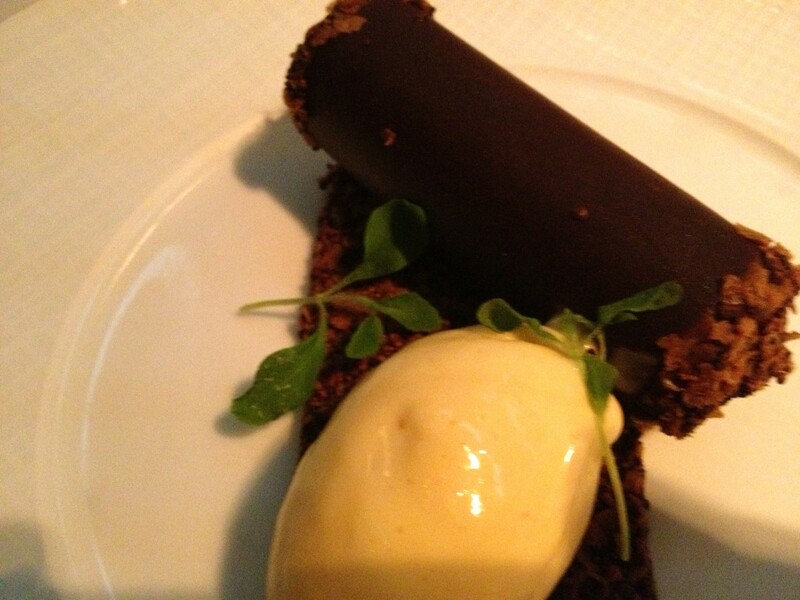 Valrhona Chocolate Jaffa Tube with Chocolate Brownie and Burnt Orange Ice Cream was a triumph with the classic combo of bitter orange and chocolate getting the gong for best dessert. Those classic 1960s and 70s sweets and biscuits seem to be a big influence at the moment. 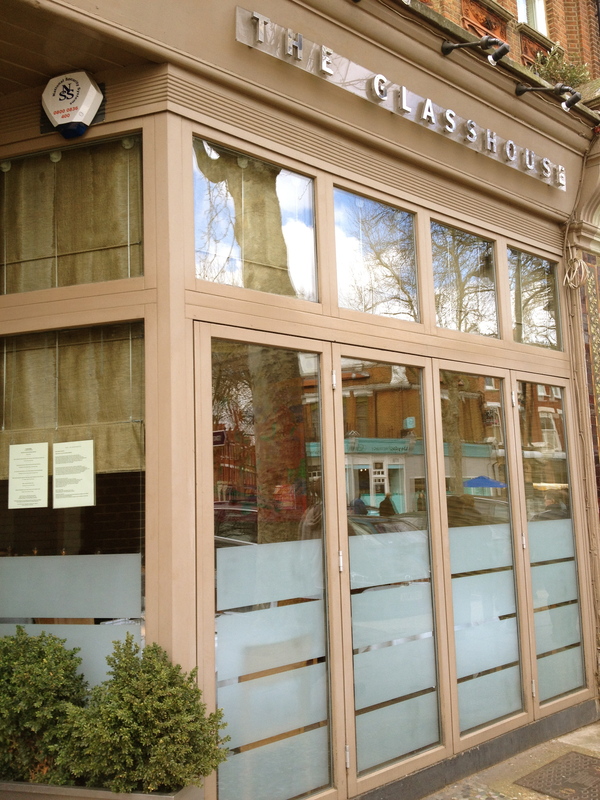 The Glasshouse is an excellent restaurant delivering at a high level to its core clientele, the well-heeled bourgeois of West London. For me the service is too unctuous and sometimes there is too much business going on on the plate – at the moment I’m into small plate eating and gutsy simplicity-and also too much going into the fryer-these people just don’t need it!